The "Aromas Sands" formation lies atop the Purisima formation. Near the mouth of the Pajaro River, the Purisima formation can be found approximately 800 to 900 feet below the surface. 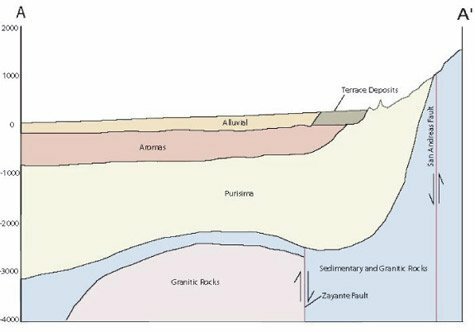 Like the Aromas Sands formation, the Purisima formation rises toward the north; its topmost layers become more shallow, and the formation is exposed at the surface in the Soquel-Aptos area. Although the formation is water bearing to the north, few water wells have tapped the Purisima formation in the Pajaro Valley because the overlying formations have yielded water of good quality. 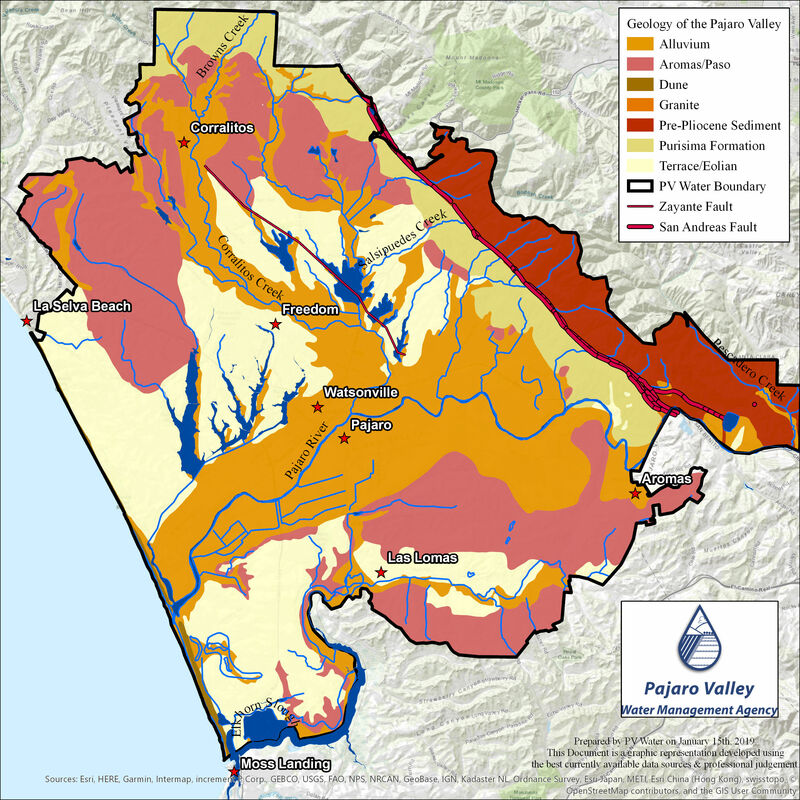 Beneath the Pajaro Valley, the Purisima formation receives recharge both from the overlying Aromas sands and from areas to the north of the Pajaro Valley. Bulletin No. 5 (California State Water Resources Control Board 1953), provided the first detailed look at the geology and water resources of the Pajaro Valley. The regional geology of the Pajaro Valley has been mapped and described by Greene (1970, 1977), Muir (1972, 1974), Clark and Rietman (1973), Dupré (1974, 1975), Dupré and Tinsley (1980), H. Esmaili & Associates (1984), Ludhorff and Scalmanini (1987a, 1988), and Montgomery Watson (1990). Numerous efforts have been conducted to develop numerical groundwater models that analyze seawater intrusion and the water budget. 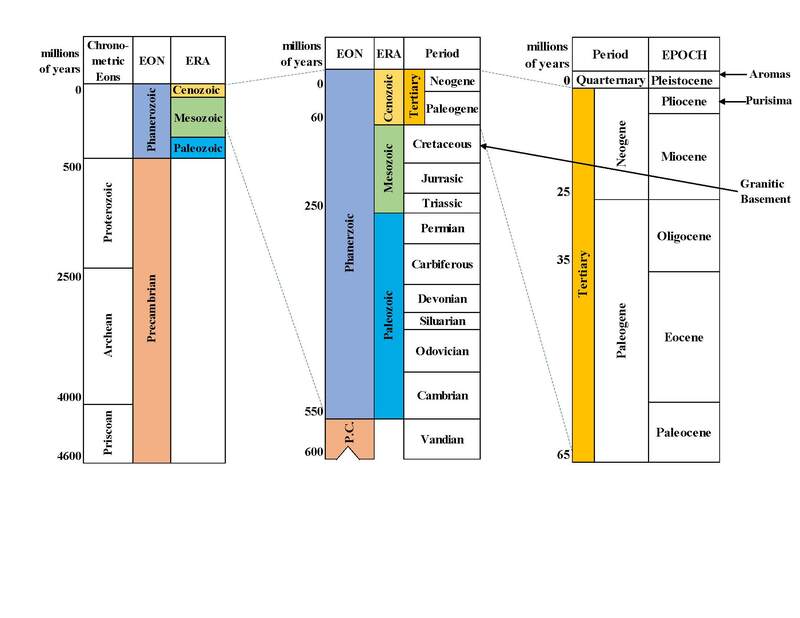 All the modeling efforts involved interpretation of regional geology and definition of conceptual geologic models for the basin (Johnson et al. 1988; Bond and Bredehoeft 1987; Montgomery Watson 1990, 1993, 1998). Dupré (1975) provides the most detailed description of the depositional environment and the way that the aquifers and water-bearing formations developed, including a very good description of the potential for significant localized variations in the geologic materials because of the complexity of the depositional environment.